At around $100 (85 euros), a pay TV subscription for the month-long football extravaganza is out of reach for most, as average monthly salaries range between $400 and $700. But some are airing the games and even profiting from the action. 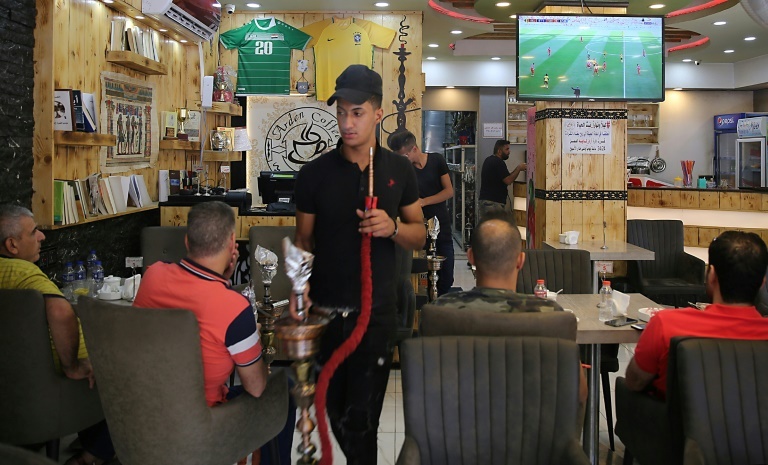 In a central Baghdad cafe, Hassan al-Sayyed has installed a big screen. He hopes to fill his premises for every game, ramping up takings from those unable to afford the "very high" cost of home subscriptions. One of the biggest pulls so far has been Egypt's second group game -- a chance to see the Arab world's most famous footballer Mohamed Salah make his tournament debut. Hookah smoke swirling around him, Mohammed Hassan was one of many to cheer on the Liverpool ace during the Pharaohs' 3-1 loss to Russia. "We come here every day to watch the games, mainly for economic reasons," he told AFP, bemoaning the cost of the pay TV subscription. With Salah's Egypt eliminated, Hassan will now cheer on Messi's Argentina and Spain, even while he dreams of Iraq one day making a first World Cup finals appearance since Mexico '86. In Mosul, 350 kilometres (220 miles) north of Baghdad, just being permitted to watch football marks a fresh dawn -- for three years to July 2017, Iraq's second city was occupied by the Islamic State group. Mirroring the capital, people have crammed into cafes to watch games, happy at last to imbibe images the jihadists deemed corrupting. 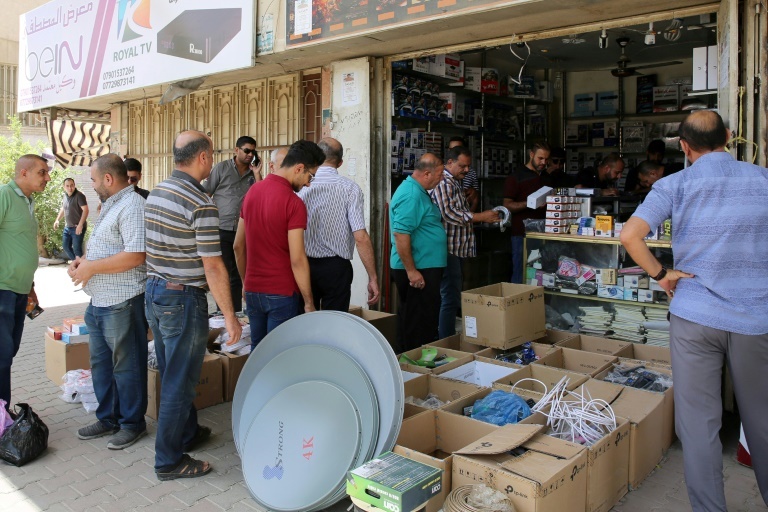 "Here, it costs less," said 21-year-old Amir Mufak, another Iraqi who can't afford to sustain his passion by watching at home. "We pay only for our drinks -- the fun is free." But Mohammed al-Ashrini is upset that the government has not put on a show for its citizens. "Some countries buy rights to the World Cup and the matches are transmitted free on a local channel, for the greater good of the people," he told AFP. "Why hasn't Iraq done the same?" Cafes are not the only places bubbling with World Cup fever. In numerous specialist stores across the country and particularly in Baghdad, shirts emblazoned with the biggest stars' numbers and names adorn windows. But Iraqis' limited budgets mean many buy cheap Chinese-made shirts, instead of official kits. "We know the appetite of the young for team shirts and we placed orders six months before the start of the (World Cup) competition," said Sayyed Mussaui, who runs one of the capital's most prominent sports stores. The price of an original jersey can reach $90, but one from China costs only $12, the 50-year-old retailer told AFP. The big teams' shirts always sell best. But there are sometimes surprises, like when Nigeria beat Iceland 2-0 -- a victory that kept alive Argentina's slim hopes of qualifying for the knockout stages. Messi-mad Iraqis "invaded the shop, claiming all the Nigeria shirts," said Mussaui.